I must admit that I didn’t sleep very well last Tuesday. I was a little worried about the first UK National Screening Committee stakeholder conference (which I've been helping to organise) at the Oval conference centre the day after. Would people actually turn up? Would delegates be interested in the programme we’d put together? And most importantly (it’s well known that people need a good lunch when attending a conference), what would the catering be like? Fortunately, this inaugural event seemed to go very well and around 100 people enjoyed a lively day of discussion and debate. For anyone who couldn’t make it, you can view all the presentations and videos below. 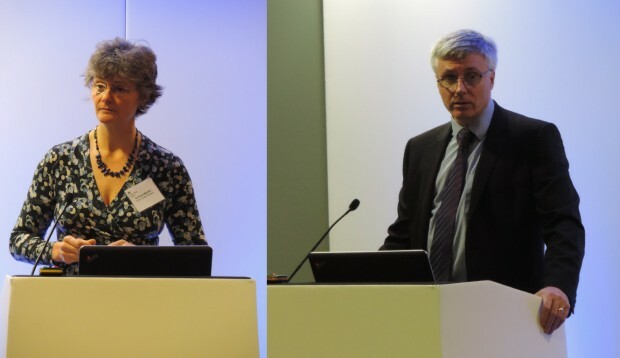 The speakers explained very eloquently the challenges faced by the UK NSC in making evidence-based recommendations that work in the real world. That is, screening programmes have to work in practice as well as theory, and need to provide real benefits to the public. So recommendations can’t be made in some sort of isolated “ivory tower”. I think that everyone left the conference with a sense of the human side of the UK NSC, that it’s a committee made up of real people who all believe whole-heartedly in the public health benefits that population screening can deliver. As David Walker, the chair of the UK NSC, said several times during the day, the UK NSC is sadly always likely to disappoint some people who would love to see screening for a particular condition introduced in the NHS. But it would be unethical to implement screening (for instance for prostate cancer) that would harm more people than it would help as well as diverting a huge amount of money (in the case of prostate cancer, getting on for a billion pounds) from research and treatment. Dr Anne Mackie and Prof David Walker. I was struck by the serious way in which the UK NSC takes its responsibilities but also by the passion of the experts that make it up. It was great to be reminded that in 2014/15, the UK NSC recommended screening for a third of the conditions it considered. So as Anne Mackie said, it’s not true to think of it just as the committee that likes to say “no”. In terms of other presentations, Dr Sunil Bhanot explained very clearly how workforce and capacity issues in the NHS need to be taken seriously when considering implementing something new (if GPs are asked to screen people for atrial fibrillation, what more worthwhile thing might they need to stop?). He also highlighted that other prevention methods need to be explored first before turning to screening as a solution (in this case, almost half of people already diagnosed with AF don’t currently get adequately treated). Dr Heather Payne made the point that screening needs to be considered very carefully when it could end up turning pregnancy from a natural part of life to one that is more medical. She also pointed out that there isn’t an accurate test that can predict which babies will be born early. Prof Jim Bonham gave a very well received presentation about the way in which the pilot of 5 new blood spot conditions was run with the UKNSC and the importance of understanding whether screening that seems obvious in theory can be translated into the real world of the NHS. He emphasised just how accurate the tests were. I was also struck by how hard the team tried to reduce the number of false positives and the real need to consider the impact on people of getting an incorrect screening result. Speakers during the morning session of the conference. Dr Anne Mackie gave delegates a whistle stop tour of a big year for the UK NSC in terms of the outcomes of 2 major reviews of its role and function. She also highlighted how much is coming up in 2015/16 and beyond. The research presentations, from Dr Sian Taylor-Philips and Prof Chris Hyde, were a real highlight of the day. What they showed very effectively is how the UK NSC tries hard to fill in the evidence gaps by working with many highly respected research and academic organisations. As Anne Mackie said, the UK NSC also has good relationships with bodies like the Health Technology Assessment (HTA) Programme and can make suggestions for research which they might be best placed to commission. Has this event been helpful in understanding the role of the UK NSC and improving stakeholder engagement? What does the UK NSC do well presently regarding stakeholder involvement? 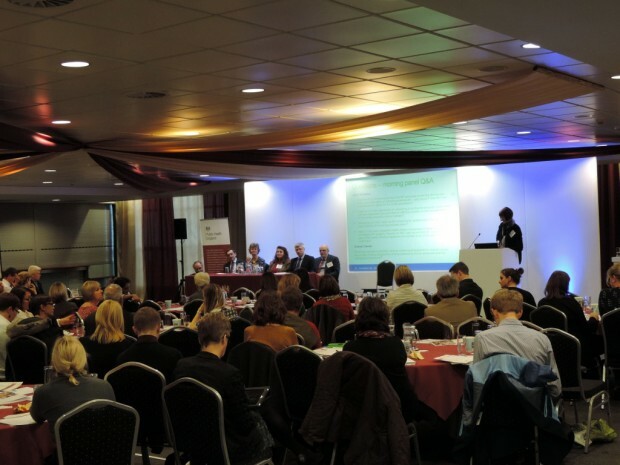 What practical steps could the UK NSC make to improve stakeholder involvement? There was loads of very thoughtful feedback on these topics and we’ll be reviewing all the comments in the new year and publishing them with our response in a follow-up blog. My sense from delegates was that in general they appreciate how much more open the UK NSC has become but that (as ever) there’s more it could do. As David Walker said at the end of the day, a huge thanks to everyone who made the day so interesting and productive. It looks like we’ll be running another event next year – so I look forward to seeing many of you who attended this one again and hopefully meeting some new people too. PS. For anyone thinking of coming next year, the catering turned out to be great! Patient Representative AAA Screening Programme.